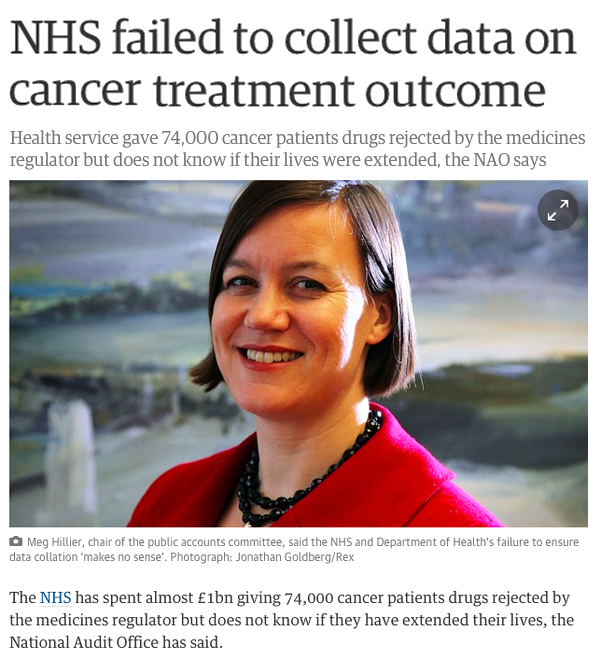 Denis Campbell, Health policy editor at the Guardian, reports that the National Audit Office has found that the NHS failed to collect outcome data on 74,000 Patients who received £1 Billion (average of $20,000 each) of drugs that had not yet been appraised by NICE to treat their cancer. Yet another example of how our failure to document medicine and pay attention is fuelling the exponential growth of bad medicine but if it’s happening at this scale in full view what will it take for Patients to be treated like a statistic? When supermarkets like Tesco are tracking me buying a 50p pack of chewing gum it’s got to be time we all realised how incredibly unethical it is to be spending healthcare budgets on treatments that aren’t being documented. Can you even begin to imagine the insights into cancer care that we could have if the £Billions spent administering this £Billion of drugs had been properly documented? 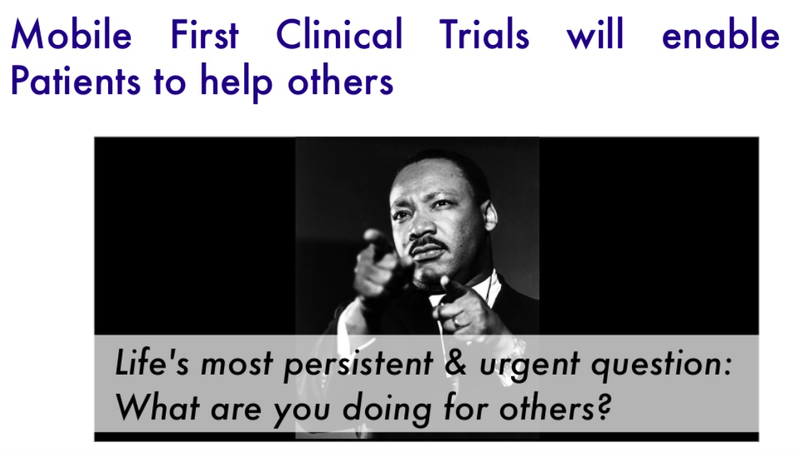 I wonder how many of these Patients would’ve elected to donate their data to researchers in an effort to help others if they had the opportunity thanks to the adoption of mobile first initiatives like Apple’s ResearchKit?